In the debate about replacing the Trident nuclear system, there is space for options that link British to international experience. Jeremy Corbyn. Demotix/Velar Grant. 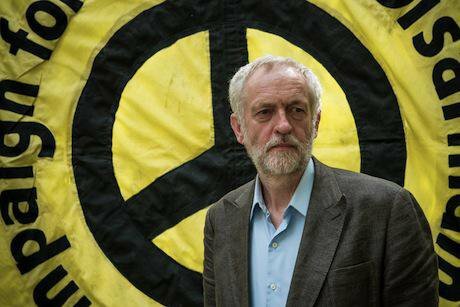 All rights reserved.Jeremy Corbyn, the new leader of Britain's Labour Party, has long been opposed to the country's possession of nuclear weapons. But he has also made it clear that this personal commitment does not extend to forcing this policy on the party he now heads. What he does want is an open debate and to convince others of the value of his views. The replacement of the country's Trident nuclear system is now being discussed (see "Britain's defence policy: the path to change", 7 May 2015). If this were to go ahead and a similar system put in place, the development and lifetime costs will approach £100 billion. Almost everyone in the Conservative government and parliamentary party, and many Labour MPs themselves, believe that a replacement should be built and that Britain should remain a nuclear-weapons power. Yet there is a substantial minority across the electorate that agrees with Corbyn. This view has gained far more traction since it was adopted by the Scottish National Party, a shift prompted not least by the persistent campaigning of nuclear disarmers north of the border, including the Faslane 365 initative. Yet political polarisation means it will be difficult to realise Corbyn’s aims. The pro-Trident position has an uncompromising military rationale. It entails keeping a ballistic-missile submarine on station and ready to launch at all times - what is called “continuous at-sea deterrence” (CASD). In turn this requires maintaining four submarines, in order to allow one available for round-the-clock patrol, as well as substantial naval back-up. The latter includes what is euphemistically called "deterrence support", an element that isn’t much talked about in polite circles. The reason why is that deterrence support is onerous. There is a certain assumption that a Vanguard-class Trident-armed missile-submarine can disappear from its base at Faslane in western Scotland and go on secret patrol almost independently of the rest of the system. The reality is different: there is a continual need to protect Faslane, the Clyde estuary and the seas close to Scotland. Moreover, it is usual practice to have on patrol an attack-submarine, such as one of the new Astute-class boats (nuclear-powered but not nuclear-armed) between the general region of the Trident submarine’s area of operation and the perceived direction of threat. That, of course, means having several such attack-submarines available, which demands a substantial commitment. The anti-Trident argument tends to the view that Britain’s nuclear weapons are little more than an historical anachronism (see "Britain's nuclear endgame", 28 September 2012). The ability to kill 5 million or more people in forty minutes may represent an inkling of great-power status, or a delusion of post-imperial grandeur (of a kind shared with France). In practice, though, sufficient numbers of people still stick to the old thinking that the choice can be other than "all or nothing". Corbyn’s supporters may need to recognise this. * Adopt an openly stated policy of "no first use" of nuclear weapons and aspire to the elimination of nuclear weapons in Britain when international progress allows. This would essentially be a residual force. If embraced, it could be less than a decade or so before the very idea of maintaining nuclear forces might be dropped, with Britain then joining the ranks of the 186 member-states of the United Nations out of 195 which do not possess nuclear weapons. 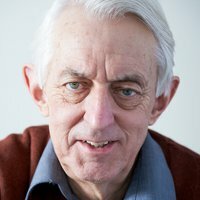 What is often forgotten here, including by anti-nuclear activists, is that several countries have given up nuclear weapons on their territory. South Africa actually developed its own small arsenal and then dismantled it. Furthermore, a number of states have in the past decided against developing their own nuclear arsenals after active consideration; they include Argentina, Brazil, Sweden and Switzerland, and probably also South Korea and Taiwan. At the level of elite power, British nuclear weapons are a symbolic indication of standing in the world. The habit is so strong that it would be easier to give them up in two stages: a radically scaled down and far cheaper force that could then be allowed to wither away. Whether that becomes an option depends very much on domestic party politics. But the point about revisiting Britain's nuclear-weapons policy is that the starting-point does not have to be a rigid “for” or “against”. The option just outlined is just one among several. Their very existence means that the debate now getting underway can be much better informed and less hidebound by increasingly meaningless issues of imaginary great-power status.